Step by Step Web Designing – Have you taken other HTML and CSS courses, but still wonder how to code a real world website? 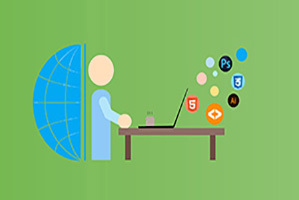 If Your answer is Yes then my friend you are at right place This course ( Web Designing ) describes the easiest way to learn modern web design with huge projects. We will use Free web development editor. You can use your own editor or IDE. It’s doesn’t really matter. How to get and use images, fonts, icons, color and attractive background to make your website awesome all for free. By the end of the course Web Designing , you will be able to make website. You will be able to make website responsive so it would work on any device like PC, Mobile, Tab etc.